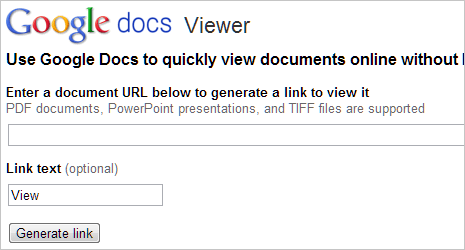 Now you can open, view and download files of different file formats online using Google Docs viewer. This eliminates need to install different software for specific format of file viewing. 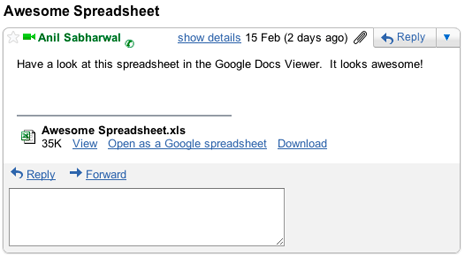 Google Docs Viewer now support viewing of more file format of documents and files. This means, you can directly open variety of file format documents received in Gmail messages directly in Google Docs Viewer. You can also upload and view files on Google Docs storage. 1. Default Google Docs Viewer – Open Google Docs Viewer webpage in your web browser. Type or paste URL of the file that you want to open and click Generate link button for viewing. 3. Upload to Google Docs – You can upload variety of file format documents like psd, xls etc to Google Docs account at docs.google.com and open then directly in Google Docs Viewer online tool. This does not work with AI files…..